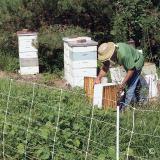 Electric netting which is effective for beehive protection to keep out livestock, bears dogs, raccoons, skunks and opossums. Vertical struts every 12 in. ElectroNet - Posts (built-in) every 12.5 ft., .50" dia. 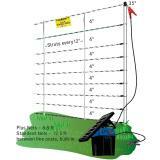 ElectroNet Plus - Posts (built-in) every 6.8 ft., .50" dia. Post spikes (SS or DS): .26" dia., 6" long. Identical to ElectroNet, but to help with sagging, we added posts to shorten the distance between posts 6.8 ft (vs 12.5 ft for standard ElectroNet). More posts means less sag and a more versatile fence. Single spike (only) with a spike stop for support when inserting post. Because it's so easy to use and adapts readily to most situations, netting has become the way to protect hives from bears, wildlife, livestock (cattle, sheep, goats, pigs) and feral hogs. 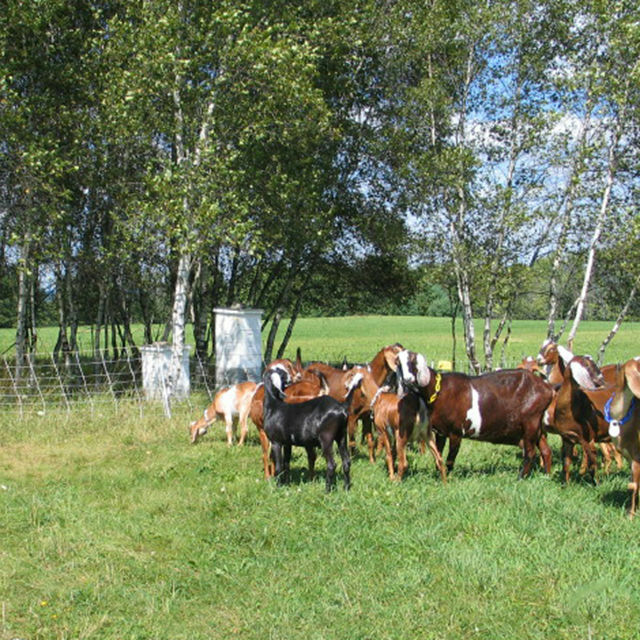 If used with care, Premier's nets can last 10 grazing seasons. Do not allow rodents to build nests in the fence when stored. Choose support posts for corners, curves and ends.